We are a well oiled machine and a fantastic team. We come with a full crew or can work with your venue’s technicians. Glorious have one of the best teams in the business who have worked together for 12 years. We have over 15 years experience of running and producing cabaret, circus and street shows in tents, theatres and outdoor stages. We have managed venues, stages & areas all over the world including – Perth Fringe, Speigeltents, Bestival, Shambala, Glastonbury Festival, Winchester Hat Fair, Assembly Festival, Melbourne International Comedy Festival, New Zealand International Arts Festival, Upper Street Events, Boomtown Fair, NFL. We work with some of the best circus and creative riggers the UK has to offer – they have worked all over the world including long tours, tents, structures and theatres. All are well qualified and insured. We can plan the most simple, creative and involved rigging safely and efficiently. 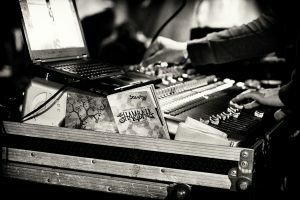 If it’s not possible to work with our sound team and you would prefer us to work with your technical team then we can, with pre-planning and technical rehearsal, make this work too. We have great lighting designers and operators who are versatile, highly skilled and well versed at lighting circus performance creatively, expertly and safely. We have access to a wealth of equipment and sfx for hire and the team to install it if necessary. Please feel free to contact us if you would like to discuss any of the above.